In Morganton, NC, life is good…a four season climate; walking paths, hiking, cycling, kayaking/canoeing, trophy-sized trout fishing, zip lines, Catawba River Greenway and waterfalls; annual festivals and weekend special events year-round; Boutique wineries, nationally acclaimed micro-breweries, and distilleries. 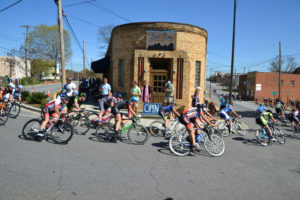 Downtown Morganton is made for living with great night life, shopping, dining, live music, galleries, farmers markets, free events and great outdoor spaces, plus a full-service banquet facility. Downtown is your hub for activity!